Cryptocurrency mania is well and truly underway – wherever you look, whatever you watch, and whatever you read – you are sure to hear a mention of this new type of digital money that is taking the world by storm. When it comes to security, hardware wallets are deemed to be the most secure. This is because, although they connect to a computer, the majority of them are immune to keylogging malware and once they are disconnected there is no way anyone can hack them. Of course, you need to be careful not to lose it or get it stolen, but again, most offer a recovery function which means you can retrieve your bounty without too many problems. In this KeepKey review, we will delve into its features, functions, as well as its pros and cons so you can make an educated decision whether it is a good option for you. There is no doubt that KeepKey has one of the best reputations, as well as being one of the priciest options – but how deserved are these accolades? The KeepKey is one of the most expensive, but also the most advanced on the market. Retailing at almost $200, it is at the top end of its class and offers users one of the most secure cryptocurrency storage solutions available. When it comes to reputation, KeepKey has one of the best and the most consistent, but of course, not everyone can quite afford its rather steep price tag. While there are great and similar equivalents on the market, KeepKey is most definitely worth the investment, especially if you hold a large amount of cryptocurrency. It is a hardware wallet which securely stored Bitcoin, Ethereum, Litecoin, Dogecoin, Dash, and Namecoin. It also offers the best security features to keep your coins safe from hackers and other cyber dangers. It works by plugging into your computer, synchronising with the specially installed software and taking care of all private key generation, private key storage, and transaction signing. Because it does not require an operating system internally, it is entirely immune from any malware or keyloggers that any nefarious third parties may want to send your way. The KeepKey comes packaged in a plastic-wrapped, sealed box with a hologram sticker on it similar to TREZOR and the Ledger Nano S – you can see if it has been tampered with. The device is sleek, and slim and enjoys a smart all-black design. It is quite heavy to hold in your hand, but in the way that it is reassuring, rather than feeling cheap or cumbersome. Made from polycarbonate and an anodised aluminium case, it is sturdy and reliable should you be a little clumsy. It just feels expensive, which is a big plus point for some particular types of consumer that want the very best looking and feeling item possible. The instructions are included in the box (luckily, they are short and sweet), as well as the Micro-USB cable that you will need to plug it into your computer. All in all, the packaging is great the device is nifty and well designed, and it gets pretty much full marks from me when it comes to appearances, and as we all know, first impressions count! So, it looks good and comes in a beautiful box, but what about the more technical details? Let us take a look. At the moment, the list of currencies that KeepKey supports is rather short and is only limited to Ethereum, Bitcoin, Dogecoin, Litecoin and Namecoin, although these are the most popular at the moment, so unless you are dealing in some pretty rare coins, you should be ok.
Who knows, perhaps in the future, KeepKey will expand their list of supported currencies, it could be a good idea when you consider the hefty price tag which is attached to the device. First of all, the KeepKey comes securely packaged. Like other hardware wallets, it comes with a tamper-proof seal which means you can quickly and easily tell if someone has tried to access the device, or interfered with it in any way before you have received it. It also comes with a pin facility, and as an extra precaution, you do not traditionally enter the pin. Instead, the pin grid displays random numbers on your browser application, and you click the corresponding numbers. It displays each time differently, and this means even if you have keylogging software installed on your computer, hackers cannot identify the number. The fact that the device is also an offline “cold” storage device is an extra layer of security. The device is not connected to the internet in any way, and this means that any data or information that is stored on it is completely safe from hackers. Cold storage is by far the most secure method of keeping your cryptocurrency safe. The KeepKey also offers users a 12-24 word seed which allows you to retrieve your wallet should the device itself be stolen, lost, or get broken. This is your one way of retrieving vital data so be sure to set it up correctly when initialising your device! 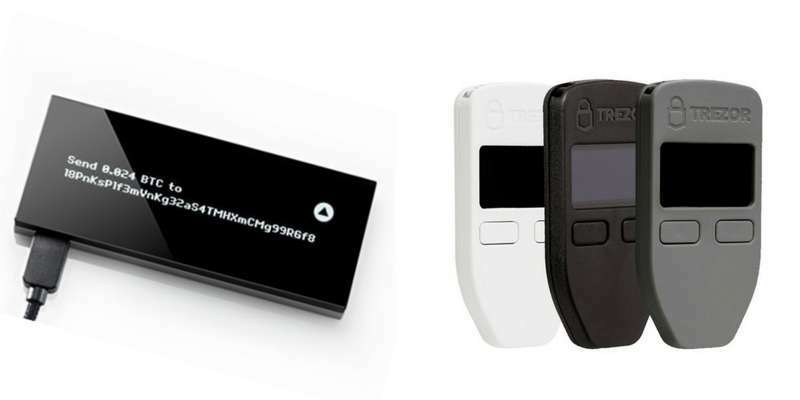 The KeepKey is as secure as say the TREZOR or Ledger Nano, and it offers pretty much the same security features meaning it is pretty much foolproof and impenetrable to third party attempts to violate it. What this means for you is that you can relax a little when it comes to knowing that your coins are safe and sound. Considering the KeepKey is pretty simple to use, there isn’t a whole lot of need for extensive customer support. Of course, when you are paying almost $200 for a device, you do expect a certain level of service! First stop for those looking for answers is their help centre. Here you can access how-to guides which contain lots of step by step articles. Then you can check out the FAQ section, Resources, Troubleshooting or if you are just setting up the device for the first time, head to New KeepKey Start Here. If you cannot find the answer to your question or query in the support section, then you can progress to contact a customer service agent directly. All you need to do is fill out your name, email, and concise but precise details of the issue and a member of their team will get back to you. You will be pleased to know that sending and receiving currency is very simple and straightforward with the KeepKey and much the same as with any other wallet. All you need to do to send currency is to open the KeepKey client, enter your pin, click send, enter the details of the recipient and the amount you want to send, verify the amount on the device and confirm. To receive, you need to access the client, click on “receive”, copy the receiving address, and click on confirm. Give the address to the person sending you funds and the currency will arrive in your account in due course. The main difference between these two devices is, of course, the price tag. The Nano sits at the lower end of the scale, while the KeepKey is at the pricier end. But which one is better? Well its difficult to say as they both offer pretty similar features meaning that for someone starting out in the world of cryptocurrency, the Nano would be an excellent place to start, but if you can afford it, why not go for the Nano? Both devices come highly recommended in online communities and other reviews, so it comes down to what you can afford and of course, your personal preference. However, Ledger Nano S costs only €58/$65, and you can find out more in our Ledger Nano S review. 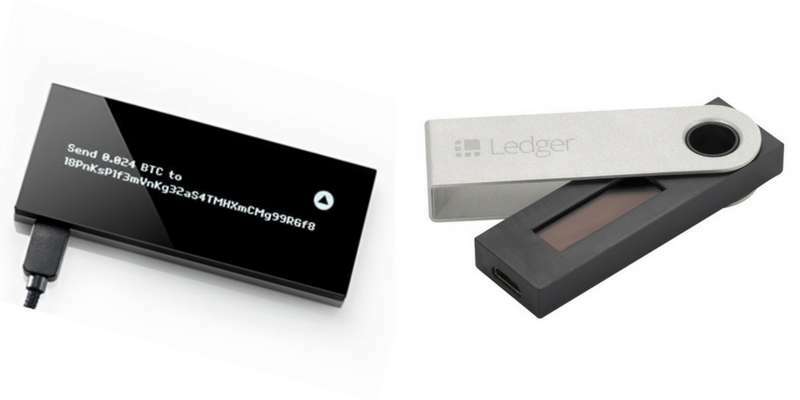 When it comes to comparing these two hardware wallets, the KeepKey comes out on top. From the way it is packaged to its incredibly simple set up process, it emerges triumphant against the TREZOR. While we don’t dislike the TREZOR, for us it doesn’t offer anything unique and minus points like its unnecessarily lengthy setup process, and instruction manual put us off. We are also not a big fan of the TREZOR design – it looks cheaper and more boring, so again, the KeepKey comes out on top despite it being a little bit bulkier than the TREZOR. TREZOR costs considerably less – €89/$99 and you can read more details in our TREZOR review. Navigate to the keepkeywallet.com site and download the Chrome extension for your browser. Click install and allow the automatic installation of the extension. Navigate to the keepkeyproxy.com site and download the KeepKey Proxy Chrome app. This is also very simple, but it seems odd and a bit longwinded that you have to download them separately instead of them being combined. Once both installations, click on the KeepKey. You will see that there is only one button for clicking and this will initialise it and prompt you to name the device. Then you will be prompted to choose a pin from a scrambled keypad, similar to the design of the TREZOR. 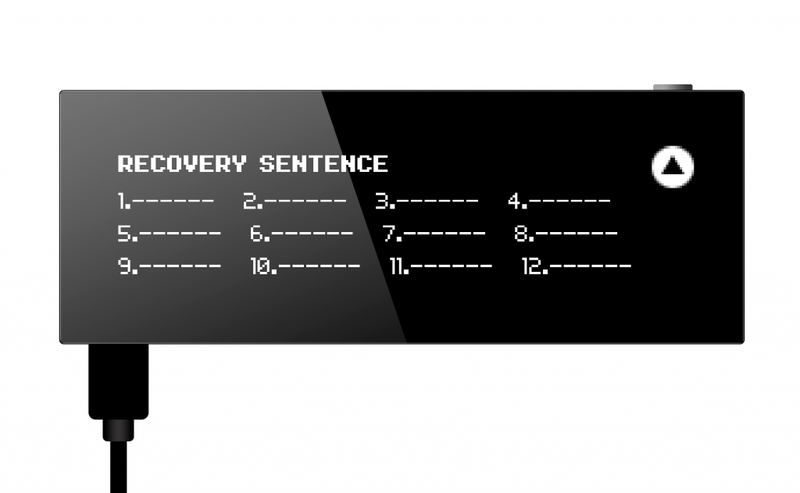 Then it is time to copy the 12-word recovery seed from the piece of paper provided, to the recovery seed card. Although 12 words are the default for KeepKey, it can be changed to 18, or 24 if required or desired. Once you have taken note of the seed, you need to press a button on the top right-hand side of the device and hold it down for two seconds. Once this is completed, a balance of zero will be shown on the screen, and this means that you are set up and ready to go. Regarding setting up and initialising, the KeepKey was by far the easiest and the quickest. A completely seamless process from start to finish, it surpassed that of its competitors the Nano and TREZOR. KeepKey: Why Should You Buy KeepKey? For those that can afford to splash the cash or who are looking to make a significant investment in their cryptocurrency wallet, KeepKey is the best you are going to get. It is the crème de la crème of the hardware wallet world, and you can tell from the quality of the device and its feel, that you get what you pay for. That said, if you cannot afford it and have to plump for, say, the Nano, you are not going to be any worse off feature, or security wise. It is simple to use, easy and painless to set up and it offers a smooth experience from start to finish. It is easy to send and receive money, and its level of security is unsurpassed. This is a great product with a strong reputation and an awful lot of style. If you are looking for a high-end product to keep your currencies safe, then I can thoroughly recommend the KeepKey for all of your cryptocurrency needs. Check our guide to the best hardware wallets for a more detailed comparison of all hardware wallets.